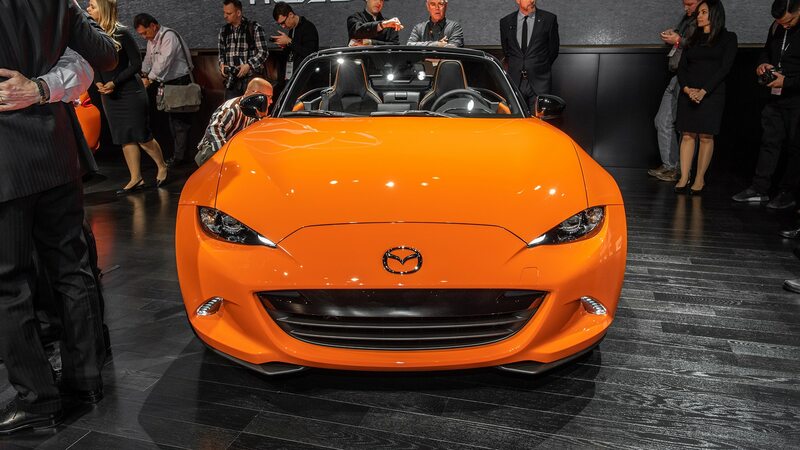 We get the scoop on Mazda’s plans for the Miata, its SUVs, and more. 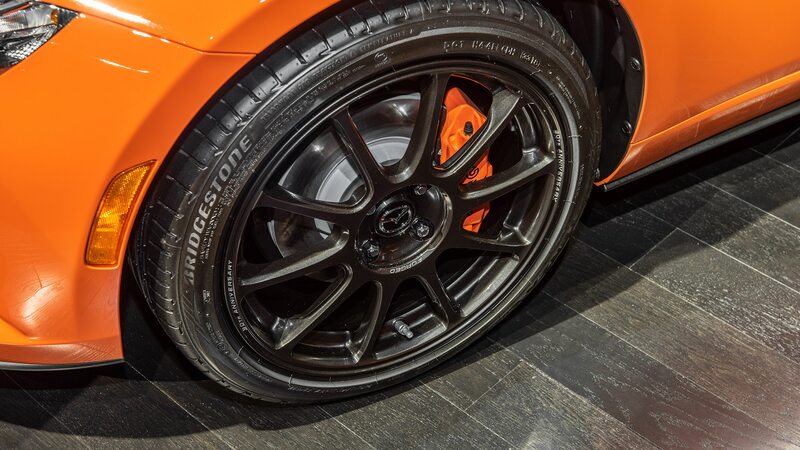 Keep your eye on the special wheels. 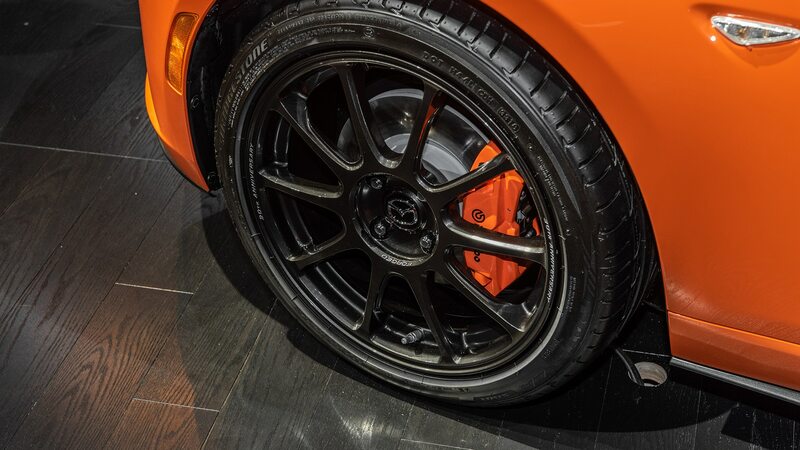 The Rays ZE40 RS30 forged aluminum wheels save mass on the famously Colin Chapman-esque lightweight sports car, though Nakayama, who spoke Japanese through an interpreter, would not say how much weight. 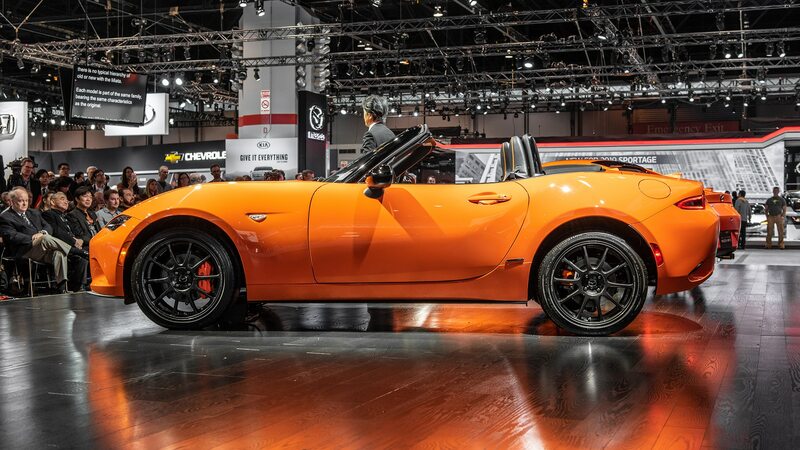 It makes sense that this new wheel will find its way onto the more track-focused Miata Club models, at least as an accessory option, by the 2020 model year or later. 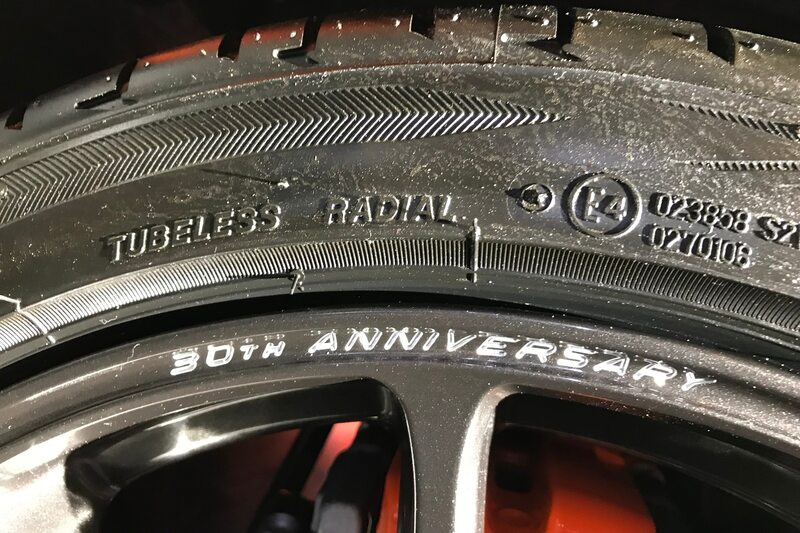 They won’t have the cool “30th Anniversary” etching on the rim, of course. Don’t expect yearly special editions. 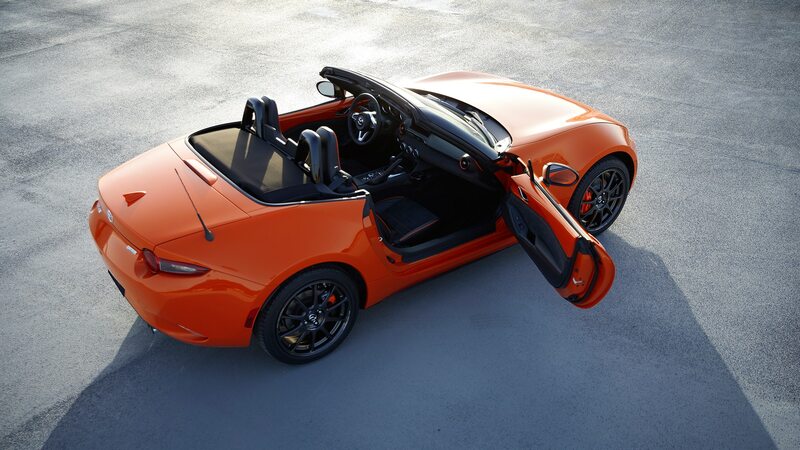 Through the NA, NB, and NC generations of the Miata, Mazda regularly introduced special-edition models at the Chicago Auto Show, the event where car was first unveiled in February 1989. 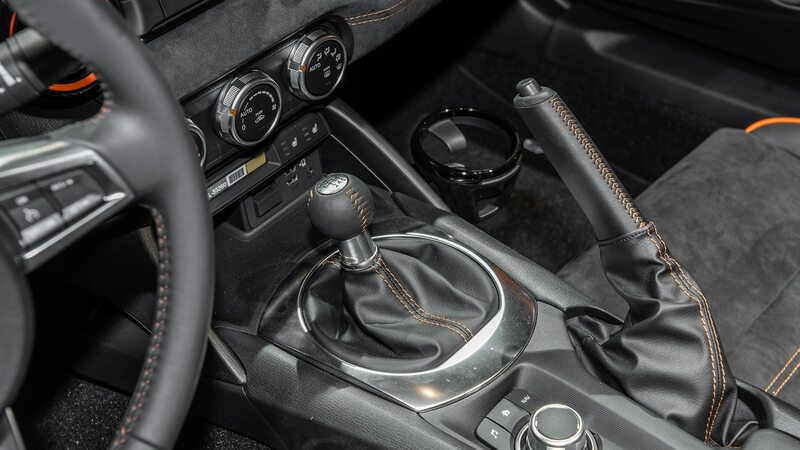 But Nakayama and Moro would not commit to future special editions like those old models, which often had special wheels, Momo steering wheels and shift knobs, and the like. 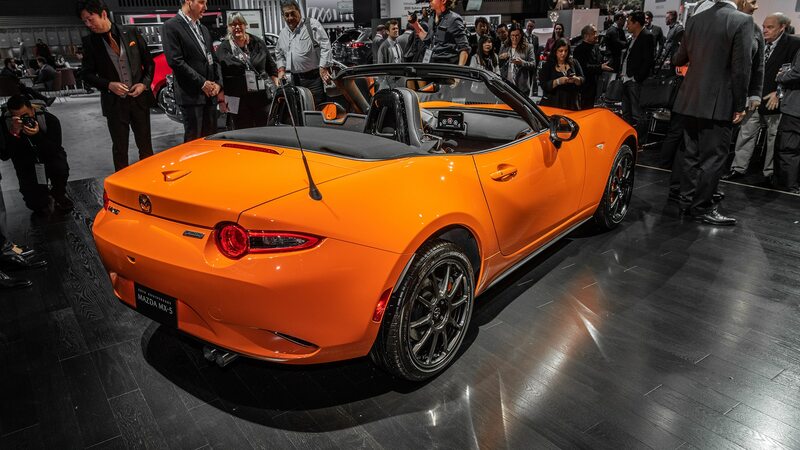 Do expect new and special paint colors, and continuous engineering improvement as was done for 2019, since the MX-5, like all sports cars, must have a long lifecycle. Do expect more new paint colors. 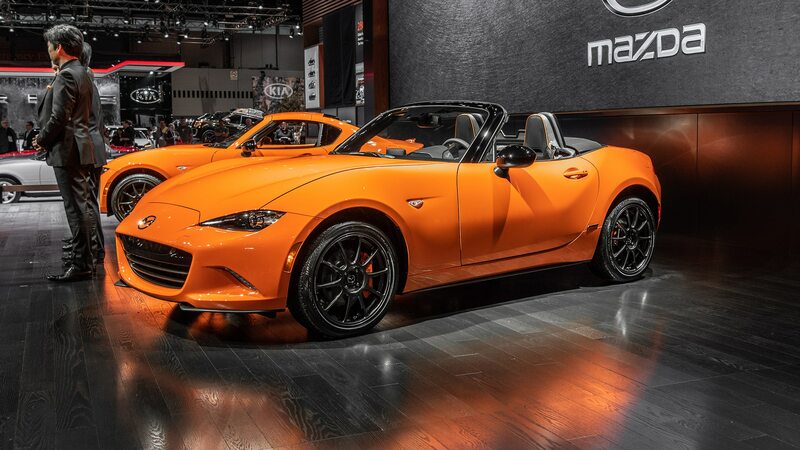 Racing Orange was one of three special colors proposed for the 30th Anniversary Miata after Nakayama’s team began working on the special edition about two years ago. 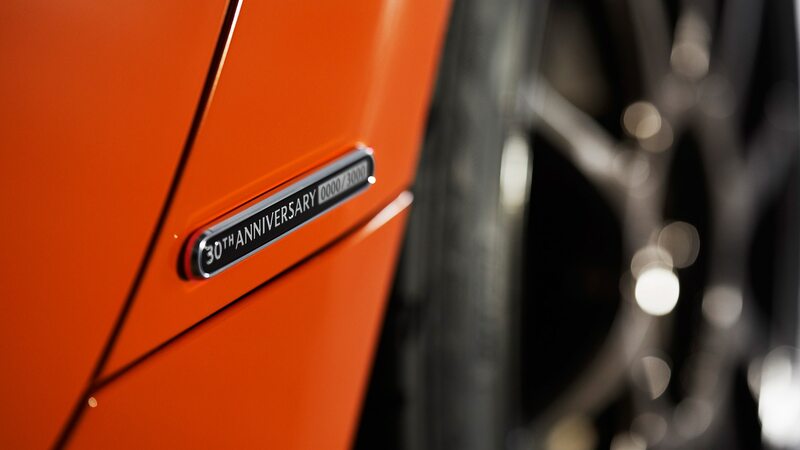 (And here it seems like we were just celebrating the car’s 25th anniversary.) 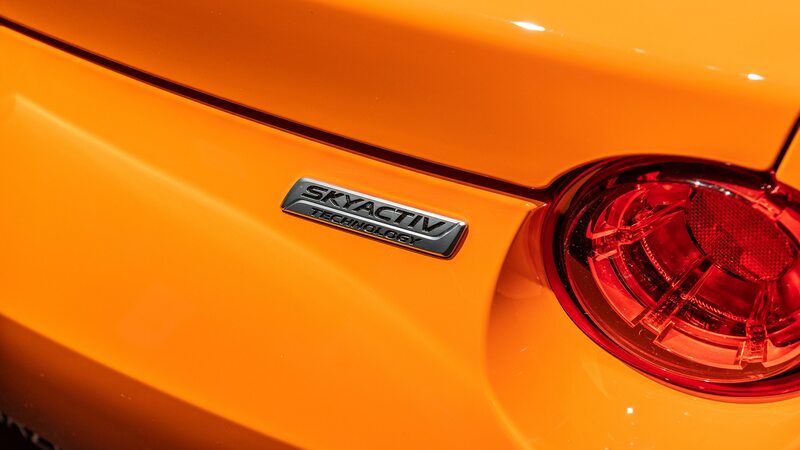 The other two colors will likely show up in future model years, he hinted. One of those two other paint colors just might be Mariner Blue. 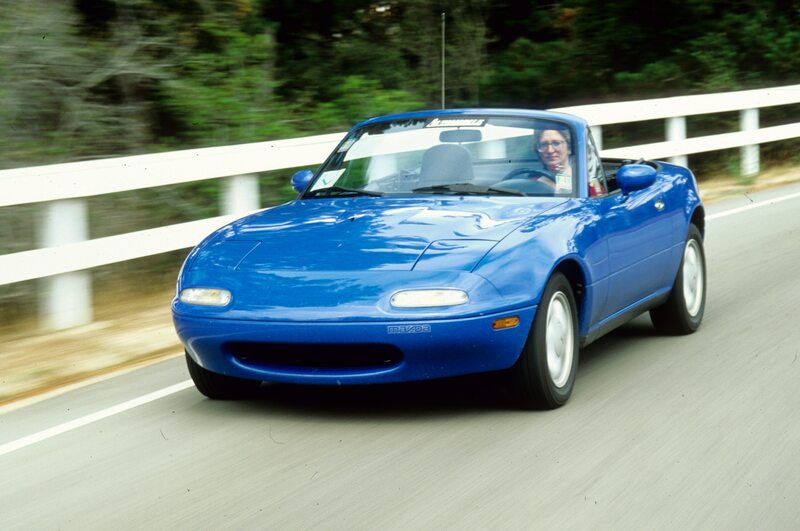 We caught a glimpse of a photo of a Mariner Blue ND convertible, one of three paint choices on the original 1990 model NA. 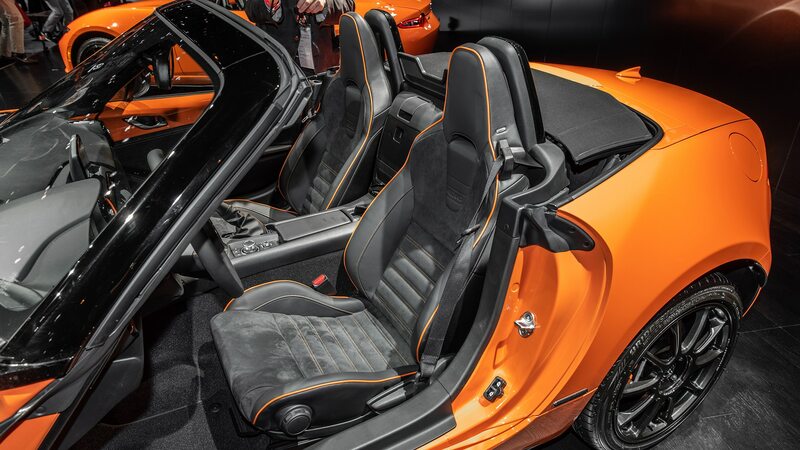 What about the Racing Orange seat piping and interior trim? 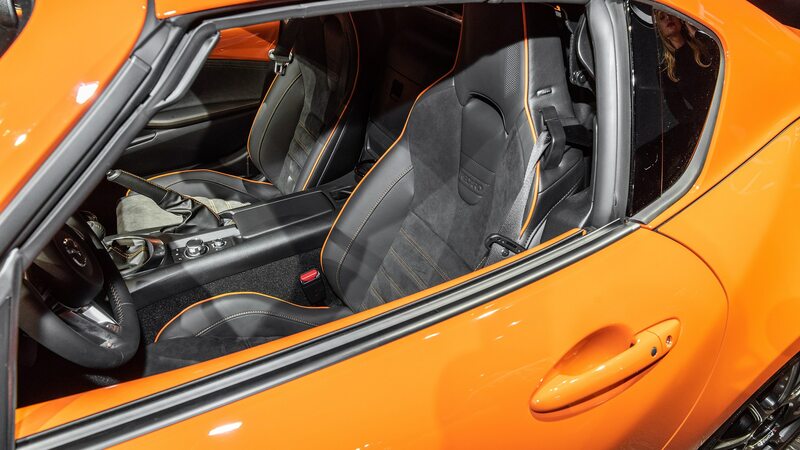 This is potentially a bit more complicated to bring into regular production than a new paint color, but no doubt much easier now that it has been added to the 30th Anniversary car and its Recaro seats. What’s going to pay for this? 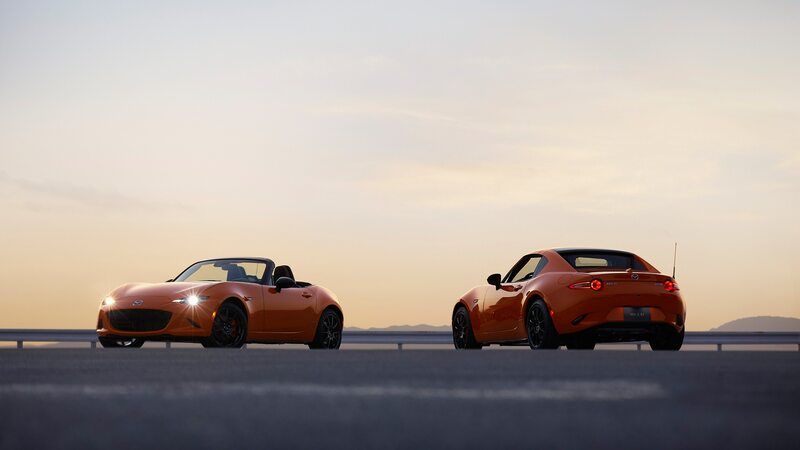 These days, mainstream high-volume models pay for future sports-car development. Mazda has done well with its CX-5 compact SUV, which accounted for about half its 2018 sales in the U.S. The new Alabama assembly-plant joint venture with Toyota will build an all-new SUV for Mazda and unique to North America, Moro said. The start of production for that one is scheduled for 2021. The Alabama-built Mazda CUV will not be the model to be unveiled at Geneva. Mazda will unveil a new CUV at the Geneva International Motor Show next month. Obviously, it’s not going to be a model unique to North America, though Moro said the two will share some components. 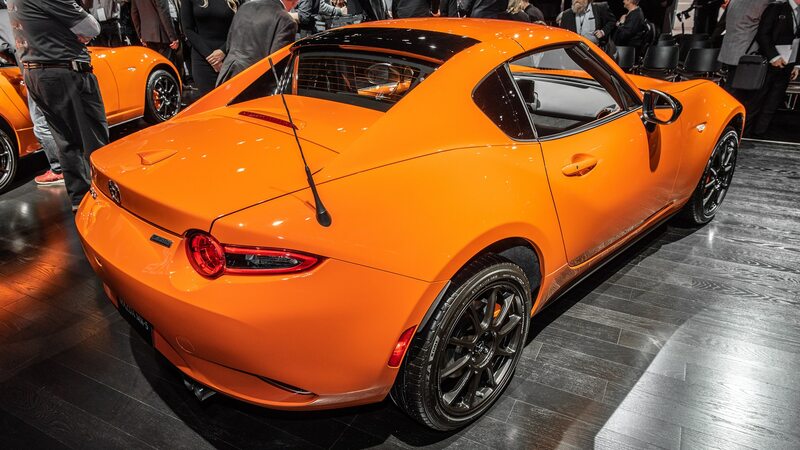 My best guess: Geneva’s unveil will be a coupe-like CUV slotted between the Mazda CX-3 and CX-5. 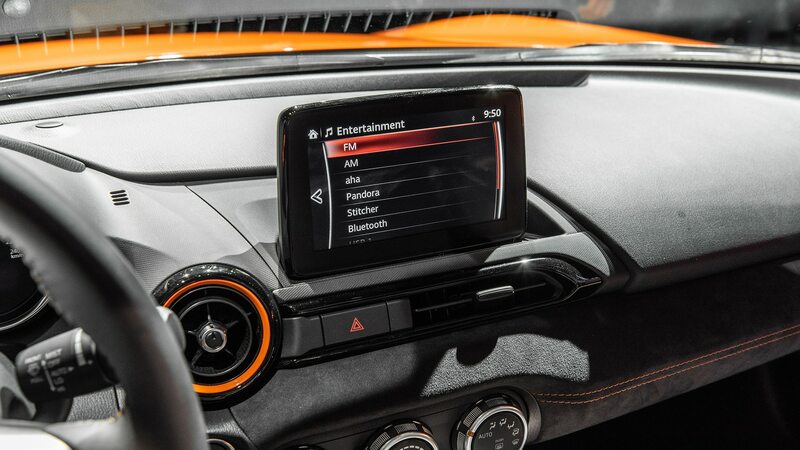 Later, Alabama will build a new CX-7, a two-row midsizer to slot between the CX-5 and CX-9 and target the highly profitable, highly optioned Ford Edge and Nissan Murano, and their new competitors, the Chevrolet Blazer and Honda Passport. 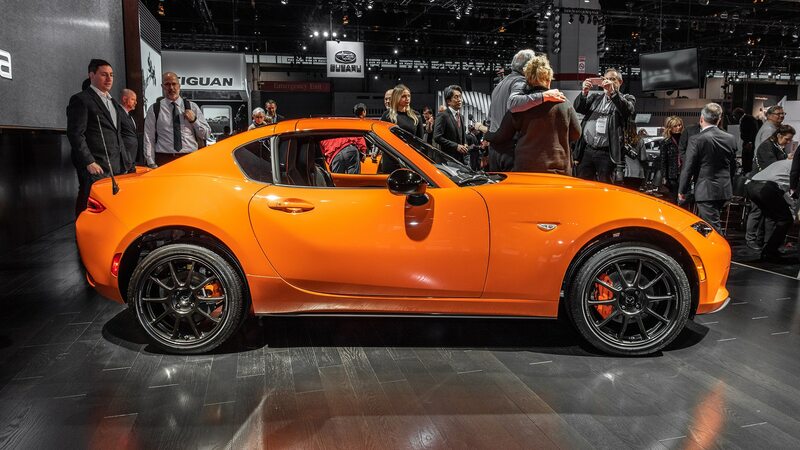 Mazda’s upmarket strategy is slow and incremental. 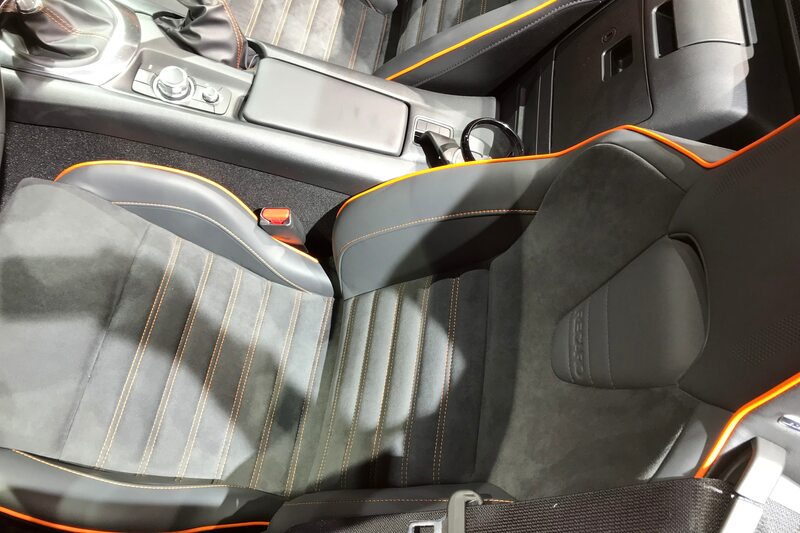 Moro plans to add more features and more elegant interiors to upper trim levels of existing models, as Mazda already has done with the CX-9 and CX-5, and more recently with the Mazda 6. 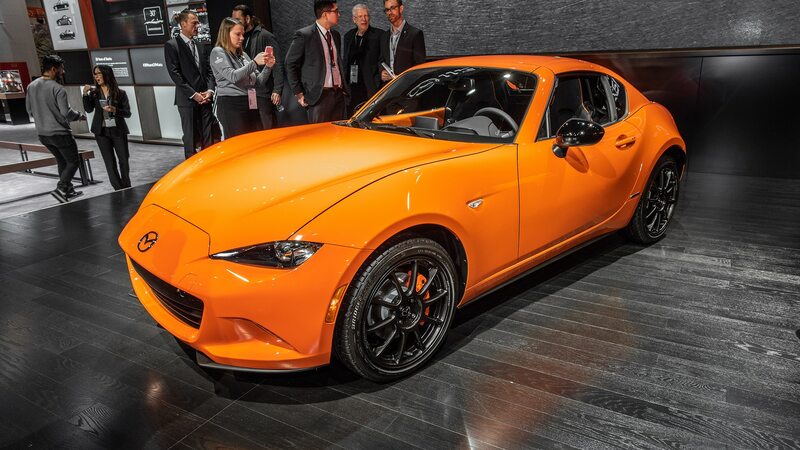 Base and lower trim levels won’t push up on price, but the upper trims will be more upper, and Mazda will continue to emphasize its workmanship, paint quality, and other tactile proof of premium build. Like VW, Subaru, Honda and Toyota, Mazda believes in sedans. It also believes in diesel. Moro says the Mazda 6 has a future (the new Mazda 3 compact has just been introduced, and the 6 has been recently refreshed). 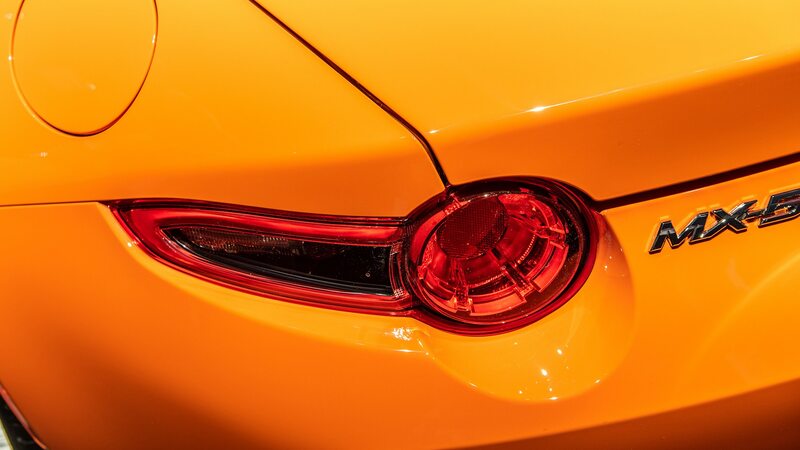 Mazda’s midsize sedan will go after that considerable portion of buyers who prefer cars but no longer have options from such automakers as Fiat Chrysler or Ford. 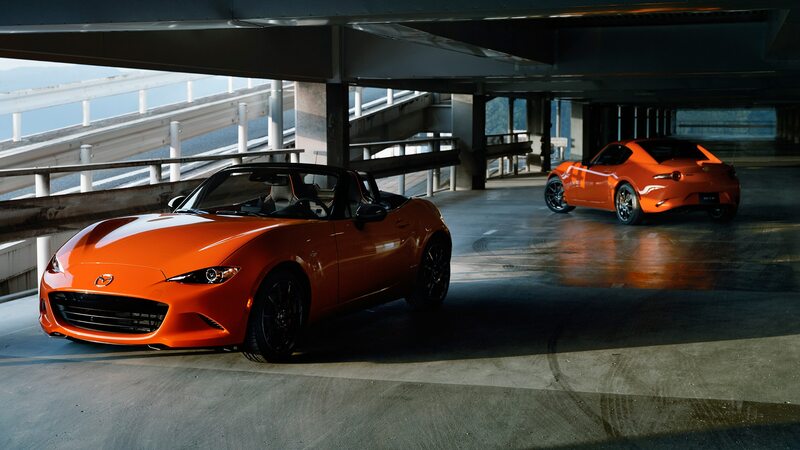 Mazda also still believes in diesel. 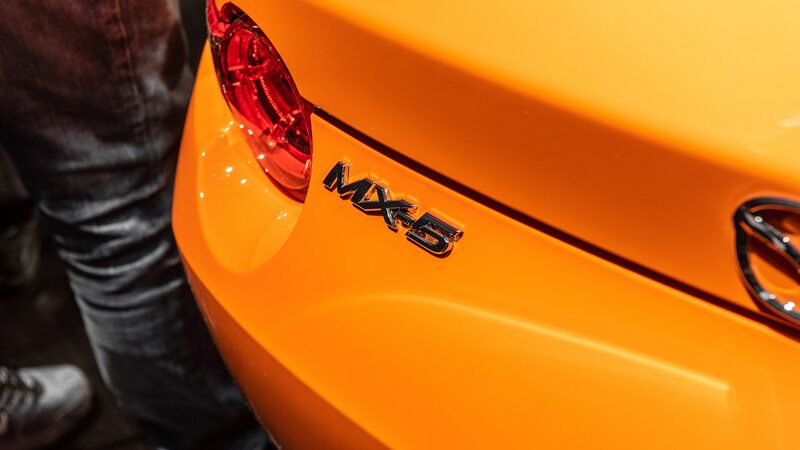 Finally, Moro would not say when the long-awaited diesel CX-5 will be available, just that it is definitely still coming. 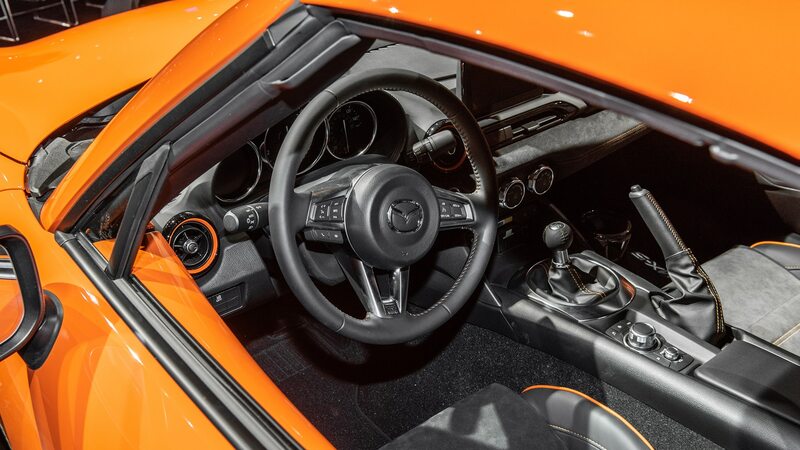 Happy anniversary to the Miata, the minivan, and the Acura NSX.